The Model 2468 Pitot Static Primary Standard is specifically designed for calibrating today’s high performance flight line and Air Data Test Systems. With the new autofloat controller, operator intervention is reduced to simply applying the mass load indicated by WinPrompt® software. WinPrompt applies all required correction factors, real time, to insure attainment of the highest level of performance available in a gas piston gauge which is required to calibrate today’s RVSM compliant test sets. The Model 2468 is based on the popular Model 2465 Gas Piston Gauge which has a long history of serving national standards laboratories, commercial industry and government organizations as a primary pressure standard for over 40 years. Time-proven materials, hand craftsmanship, and a lineage of intercomparisons to national standards laboratories at the highest levels are coupled with new automated technology to make the Model 2468 Pitot Static Primary Standard the world’s choice for calibrating Air Data Test Systems. The autofloat controller communicates through an RS-232C interface with WinPrompt software, a powerful Windows based calibration management program. WinPrompt automates all the functions required to perform an accurate calibration with ease. Since it is a Windows based application, it can communicate through the Dynamic Data Exchange (DDE) function with other Windows applications such as a word processor to provide customized calibration reports and spreadsheet applications to perform graphical or numerical analysis. The process begins by creating a procedure file with the sequence of altitude or airspeeds required to calibrate a particular Pitot Static Tester. Although these instruments typically display altitude in feet and airspeed in knots, they usually require calibration in linear pressure units such as in.Hg or mbar. WinPrompt allows the procedure file to be setup in avionics units such as feet, meters, knots or pressure units such as inHg, mbar, kPa and many others. Once the procedure file has been created and saved, it can be recalled whenever the particular test set requires calibration, therefore minimizing setup time. For each point to be generated, WinPrompt provides the operator with a list of masses (each individual mass is engraved with a unique sequence number) to apply to the top of the piston. The operator has the option of using trim masses supplied to generate an exact value, or accept the nominal value using only the main mass set. With the first point selected, the operator uses the mouse to select the autofloat icon on the menu bar. The software then prompts the user to verify that the required masses have been applied. Upon confirmation by the user, the autofloat controller generates the requested pressure to the point where the piston is “floating”. Once the pressure is established, the autofloat controller monitors all system parameters and updates the actual generated pressure, real-time. With a stable float position obtained, the status bar at the bottom of the screen changes from red to green indicating that the reading or adjustment of the device under test can be made. The device under test reading can be entered along with any particular comments in a separate text field. WinPrompt records this information along with the actual pressure generated by the Model 2468. The operator then proceeds through each step until all pressure points in the procedure file have been generated. Once the calibration procedure is complete, the calibration file can be saved with a unique file name and a calibration report can be printed. Since WinPrompt supports the Windows Dynamic Data Exchange (DDE) function of Windows, all information can be exported to a spreadsheet program to perform mathematical and graphical functions and/ or a word processing program for customized calibration report documents. For calibrating most Pitot Static Test Sets, only the standard piston/cylinder supplied is required. The standard piston/cylinder generates pressures from 1.4 to 103 inHg in autofloat mode and from 0.4 to 103 inHg using a manual pressure adjuster. This provides an effective altitude range from -610 to 19,812 meters (-2,000 to 65,000 feet) feet in autofloat mode -610 to 27,432 meters (-2,000 to 90,000 feet) using a manual adjuster) and airspeeds over 1,000 knots. 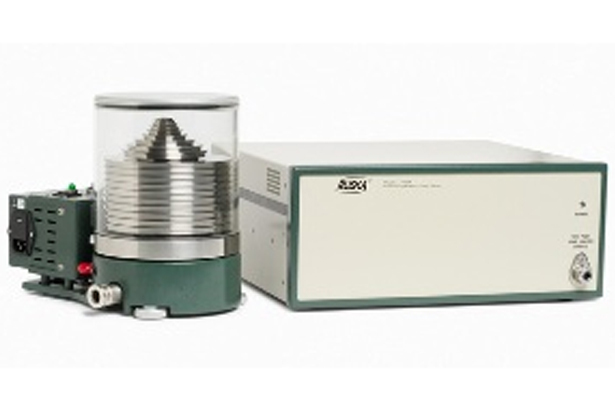 An optional piston/cylinder is available for generating pressures from 3.4 to 400 inHg allowing calibration of other pressure related devices, such as pressure transducers. Both the standard and optional piston/ cylinder assemblies are manufactured from proven materials that have evidenced superior strength, durability, low distortion, low thermal coefficients and virtually undetectable hysteresis over the last several decades, and have an unparalleled record of long-term stability. Each piston/cylinder installs quickly into the pressure column without the need for special tools. Piston/cylinder assembly change-out can be completed in less than one minute. The Model 2468 is provided with a single mass set that is used with either the standard or optional piston/cylinder. Each mass is engraved with a unique sequence number and a common serial number. A storage case is supplied which allows storage of the mass set and one or both piston/cylinders. Each mass is machined to a nominal value and is made from nonmagnetic materials to provide long-term stability and eliminate sensitivity to magnetic fields. For ease of use, the entire mass set totals just 12 kilograms (26.40 pounds), with a maximum platter mass of 1 kilogram (2.2 pounds). 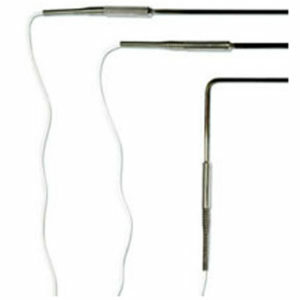 A laboratory grade trim mass set is included to allow any pressure increment within the range and resolution of the piston/cylinder assembly. In order to operate over the entire altitude and airspeed range, two vacuum pumps are required. One pump is connected to the reference port of the Model 2468 using a KF16 connection. This allows the area inside the bell jar to be evacuated which is required for altitude calibrations (absolute mode). A second vacuum pump is connected to the autofloat controller which allows automatic control of pressures down to 1.4 inHg absolute. In order to generate positive pressures, a regulated gas supply (clean dry air, or nitrogen) must be supplied to the autofloat controller. Fluke Calibration can supply vacuum pumps which are rated to the appropriate vacuum capacity and include an auto-vent valve and backstream filter for contamination prevention along with a muffler for quiet operation. 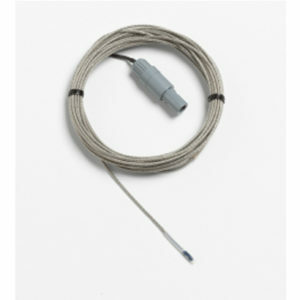 Fluke Calibration can provide an optional lines and fittings kit which includes all interconnecting tubing for pressure and vacuum supplies along with all required cables and adapters. 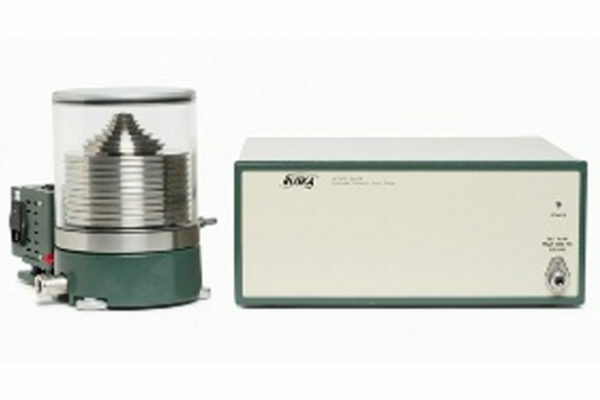 The Model 2468 equipped with the autofloat controller is provided with a barometric reference sensor to allow system operation in absolute mode and also simulated absolute mode where establishing the bell jar vacuum (reference vacuum) is not required. The autofloat system requires a standard desktop or notebook computer for operation. A Pentium level processor, RS-232 interface and Windows 95/98 are the only requirements. 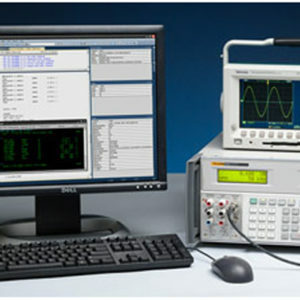 The computer can be supplied by the customer or Fluke Calibration can provide an optional notebook computer with the system which is pre-loaded with Windows 95 or higher and WinPrompt software. 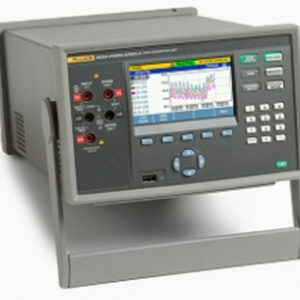 Fluke Calibration also offers a manually operated pressure control system for setting the pressure and float position. This configuration can also be used with WinPrompt software and the Model 2456 Deadweight Gauge Monitor. 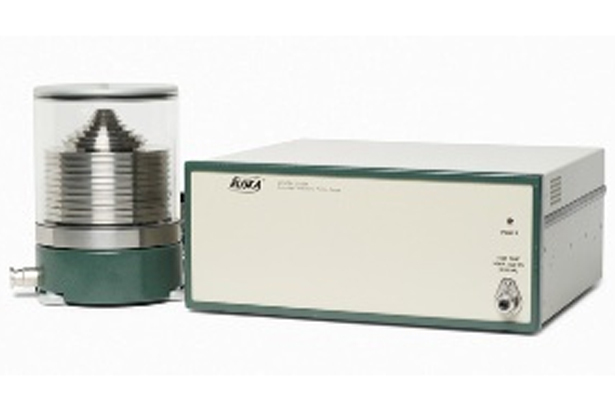 The Model 2456 continuously monitors piston temperature, float position, and sink rate, and optionally air density and reference vacuum. WinPrompt calculates mass-to-pressure and pressure-to-mass values, and when used with the Model 2456, automatically reads and displays real-time piston gauge parameters. A separate brochure is available that covers the Model 2456 Deadweight Gauge Monitor.